As the most populous market in the Arab world, Egypt presents plenty of opportunities for entrepreneurs – but they must be prepared to chart their own course around inflexible bureaucrats and numerous obstacles. As the midday sun blazed over Ezbet Abu-Qarn, an informal settlement in southern Cairo, its narrow alleyways were empty, except for one woman. 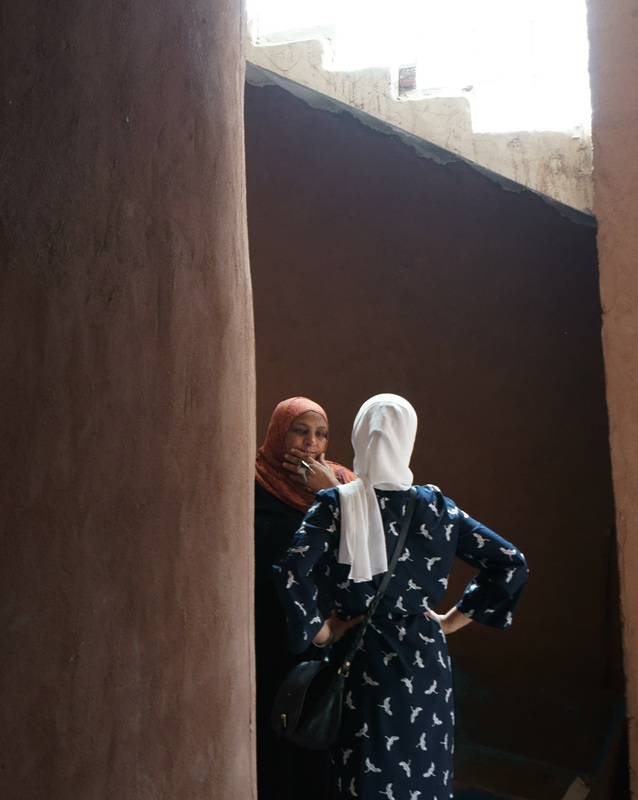 Radwa Rostom was surveying the exterior of a pale orange house. Still unfinished, bricks were visible in the lips of the empty windows. A year ago an old cracked house had occupied that very same spot, but soon the residents of the old house would have a new one. 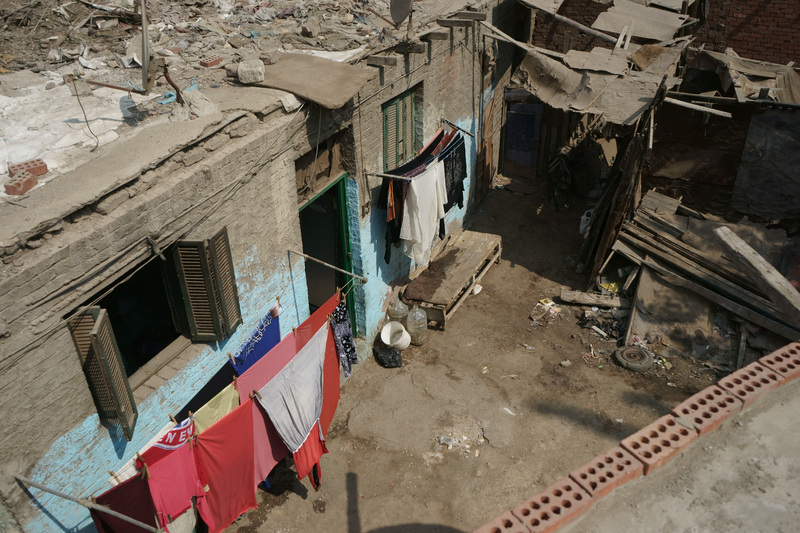 40 per cent of Egyptians live in informal dwellings, according to offcial figures. Handover, a small social enterprise founded by Rostom, an Egyptian engineer who grew up in Qatar, uses a rammed earth technique – mud and sand – to produce low-cost housing. 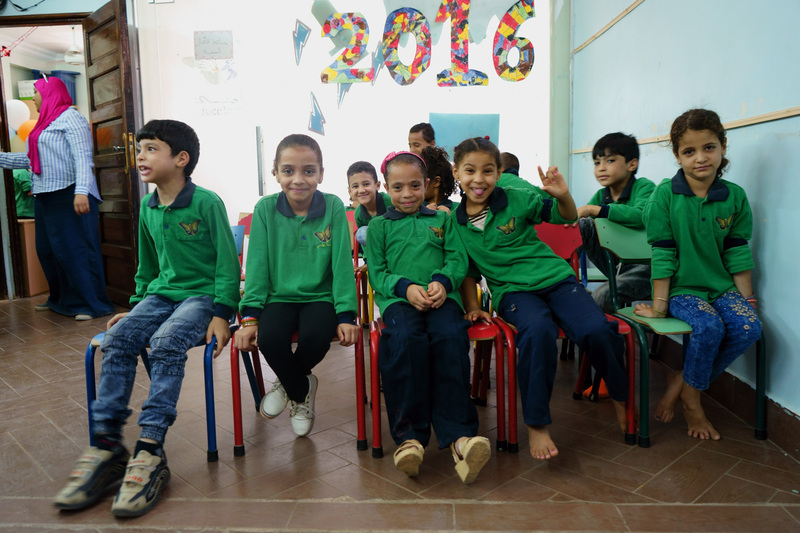 The dwelling in Ezbet Abu-Qarn is their pilot project, begun in November 2015 with financial support from a local construction company. In August, it was mostly complete. The plumbing and electricity work had been finished; some interior work was needed and then the family could move in. As Egypt’s economy struggles in its post-revolution mire, entrepreneurs across the country are simultaneously grappling with the opportunities – Egypt is the largest Arab-speaking market in the world, and many inhabitants have social needs unmet by crumbling state services – while trying to navigate issues such as cumbersome bureaucracy, slow Internet and a lack of information and support. The general lack of access to information means that trial and error is the only way for an entrepreneur to develop, says Dr Yomna El Sheridy, president of Business Women for Egypt 21, a network that allows women who run local businesses, or those planning on launching ones, to share experiences and contacts. It’s a view that resonates with Yasmin Helal, a co-founder of Educate Me. A biomedical engineer and professional basketball player, in 2010 she was approached by a man on the street asking for around 40 Egyptian pounds ($4) so he could send each of his three daughters back to school. Helal accompanied the father to the local school to verify his story. Finding that it checked out, she sponsored his daughters; realising that this was not an individual case, she decided to start a campaign to match people from her personal network – who can afford to pay 40 pounds – with those who need it. As the project began to gather steam, they soon realised it wasn’t enough. 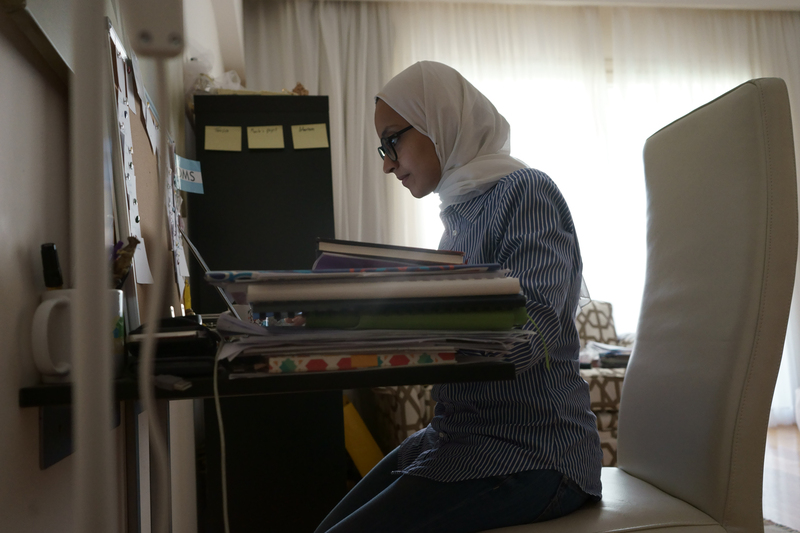 “We were very naïve to think that the problem with Egyptian education was just a matter of ‘give people money and they will get education’, because what is offered is not education,” she says. They decided to found a community school, which hosts more than 200 students – 110 full-time students and another 110 enrolled in the after-school programme. 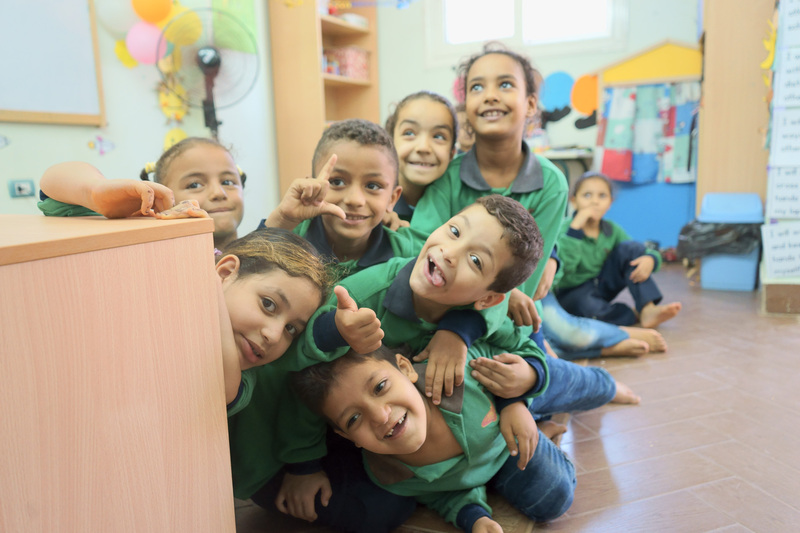 For a symbolic fee of 50 pounds ($5), Educate Me offers underprivileged children access to an educational programme that attempts to meet both Egyptian national standards and recognised international frameworks, with around 50 paid staff and 50 volunteers. They also offer public school teachers from other parts of Egypt access to training programmes. 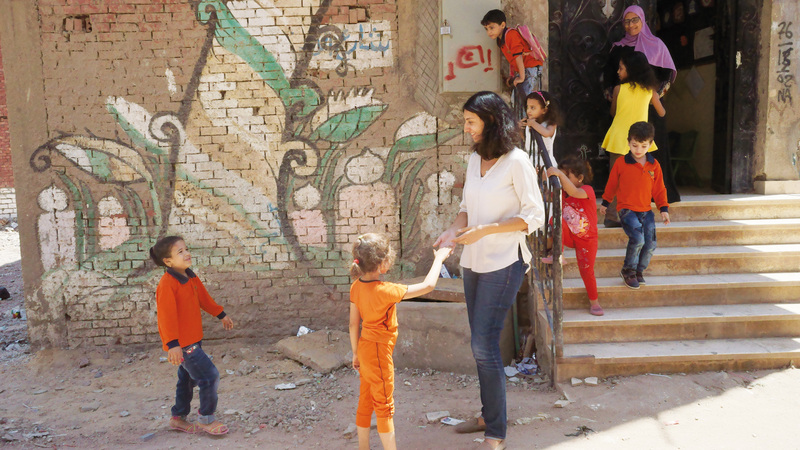 Located some ten kilometres from central Cairo in the suburb of Talbeya, the school’s wall is covered in colourful graffiti, breaking the monotony of the bland red-brick buildings surrounding it. One evening, children’s voices filled the quiet alley with liveliness as they chanted and practised for an upcoming showcase. Helal stood against the glass wall of one of the classrooms, singing happily along with the pupils. Later, she reflected on what had drawn her to the project. She had worked unpaid for almost a year before Educate Me became a legal entity. But then came the decision: after eight years as an engineer and 19 years of playing basketball, she quit both. Like almost any new venture in Egypt, Educate Me has had its fair share of legal difficulties. Despite having all the required documents for a licence to start the community school, it took the team 14 months to get registered as a non-profit because of security-related delays immediately after the revolution. And then – having already registered children and hired teachers – the community school had to operate for almost an entire year without a licence because of another security-related delay. Subsequently, state institutions have also delayed fund transfers from grants, forcing the team to find alternative funding to keep the school running. Working around the Egyptian legal system is a challenge for many new ventures and entrepreneurs, says Con O’Donnell, co-founder of RiseUp Summit. With funding typically scarce in early stages, it’s difficult for startups to pay for lawyers and other experts. O’Donnell is less supportive of the ‘do it all’ culture, yet he does find some excuses for entrepreneurs who adopt it. In addition to financial difficulties, there aren’t so many mentorship opportunities or other forms of information transfer. Locally, there has been a growing culture of working with franchise companies rather than starting something from scratch; he believes this focus on the retail sector created a “missing generation” of entrepreneurs. International jobs and mentorship opportunities have become the go-to option for many entrepreneurs. In 2014, Rostom received a year-long fellowship with the DO school in Hamburg, Germany. This was a chance for her to develop a concept around sustainable housing, building on an idea she first began to develop in 2011 as a volunteer conducting surveys on literacy with families in Ezbet Abu-Qarn. Sitting in their cramped homes, the engineer in Rostom was taken aback by the evident structural disarray. “The uncertainties of entrepreneurship are not for everyone.” Meanwhile, the local mentorship and seed funding scene is also producing results. Tagaddod produces biodiesel from used cooking oil, an idea hatched while co-founder Ahmed Refaat was working on his graduation project in petrochemical engineering. An original team of five founders quickly shrank to three. “The uncertainties of entrepreneurship are not for everyone,” he muses, sitting in a small lab space in his office, surrounded by tools. They soon received support from local incubator Flat6Labs; in addition to $10,000 seed funding, they were given access to a working space and mentorship, support that is scarce in Egypt. And while there was a financial crunch once the company graduated from Flat6Labs, Tagaddod received a boost when the General Authority for Free Zones and Investment (GAFI) named the company ‘most likely to go international’. “It was a financial push and an emotional one too,” says Refaat. 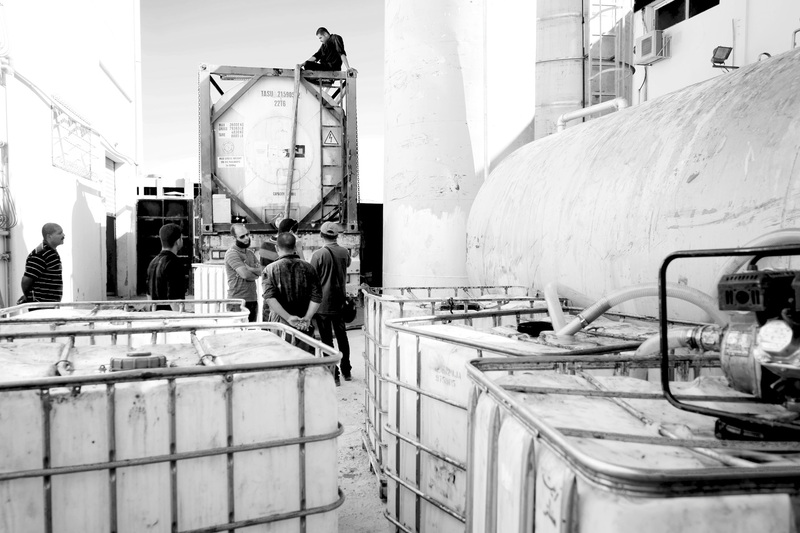 The company also received $140,000 through the Cairo Angels investor network, allowing them to establish a production facility in an industrial zone 40km outside Cairo and begin exports of their biofuel to the European Union, where legislation requires that transport companies use at least 10 per cent renewable energy. This creates demand that European suppliers are not capable of meeting, while anti-dumping legislation also restricts imports from countries such as the US and Brazil, said Refaat. Meanwhile, Egypt’s population of nearly 90 million means a good supply of their feedstock – used cooking oil – while the geographic location makes it easy for them to export. Tagaddod too had its share of legal wrangles. It took them a year and a half to legalise operations and receive a permit, because state institutions didn't know where to place them. “They had no clue about this industry. They did not know whether we should be in the renewables category, or fuel, or chemicals,” says Refaat. While larger firms and incubators can use connections to accelerate the process, this doesn’t work for newcomers. He believes state institutions such as the Ministry of Investment should produce a manual with clear guidelines for startups. As Egypt’s politicians look to navigate the country through a series of major economic reforms, entrepreneurs and startups are by no means isolated from turbulence in the wider economy. 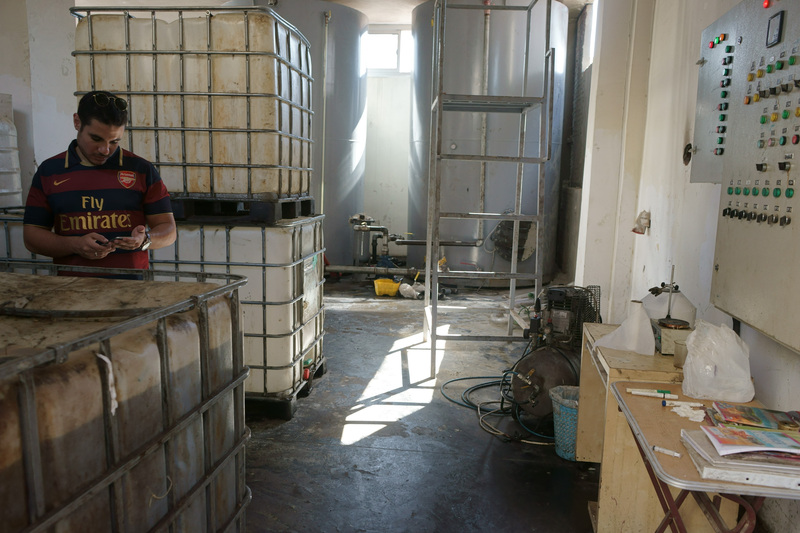 Tagaddod is affected by fluctuations in the currency, and though the cost of used cooking oil rose after the currency devaluation early in 2016 – it makes up around 85 per cent of their operation’s cost – overall, as exporters, they’ve benefited from the Egyptian pound’s drop. The quality of available talent is one frequent complaint of founders. A weak domestic economy makes it difficult for local startups to retain skilled employees, especially in the tech sector, with many lured overseas to better-paying jobs in the UAE, Europe or the US. Instabug is one of Egypt’s most successful tech firms, producing software that allows app users to send feedback to application developers just by shaking their phones – now running on more than 12,000 apps and 100 million devices. But Instabug has struggled to retain an engineer for longer than a year and a half, says O’Donnell, an angel investor in the firm. Despite the tech company’s success, engineers prefer to seek out opportunities with larger international companies such as Google and Twitter. Nevertheless, Egypt is broadly seen as an attractive market for entrepreneurship, especially given its large population. RiseUp Summit has become one of the highlights of Egypt’s entrepreneurship calendar, bringing investors from around the world – including US-based heavy hitter VCs – to meet with local and regional startups. The growing interest in the summit is a reflection of how attractive the local market is, says O’Donnell. And in a large market like Egypt, even with all the challenges that inflexible policies pose, there is always potential for growth. Except for sectors completely sucked up by the military, such as construction, there are plenty of business opportunities for young entrepreneurs in problems that remain unsolved, believes El Sheridy. Meanwhile, limited infrastructure and the possibility of new service delivery mechanisms also create market opportunities for new entrants. “Everything is pretty much dysfunctional. You don’t have to be brilliant to succeed, you just need to be better than the others,” says O’Donnell. Perhaps the most important attributes for an entrepreneur are flexibility, creativity and perseverance, with unplanned events always liable to throw a spanner in the works. A fire recently broke out at Tagaddod’s biodiesel plant, possibly caused by an electrical fault. It occurred after hours, and with no sensors, automatic alarms or sprinklers at the plant – only water hoses and fire extinguishers that need to be manually operated – the fire caused an estimated 40,000 pounds ($4,000) of damage. Despite the setback, Raafat was taking it in his stride. “Egypt is a land of challenges, but also of hopes and opportunities,” he said.